Reykjavik has known for its culture that have been surviving in the harsh weather conditions for centuries now and if you have been thinking to witness some of the most gorgeous natural sites, you shall have to escape to the outskirts and visit Blue Lagoon. A spellbinding landscapes at southwestern region of the Reykjavik, Blue Lagoon have been an incredible landmark that is visited by both natives and tourists throughout the year. 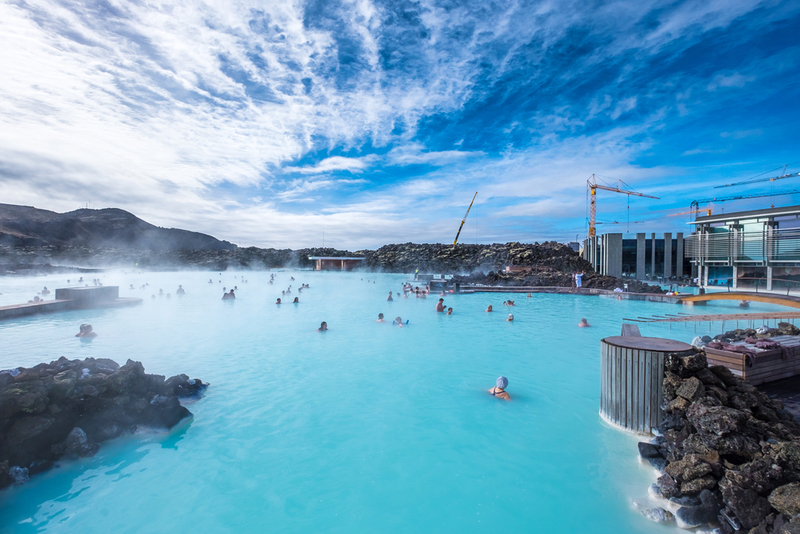 With an astounding stretch of nothing but purity of nature, Blue Lagoon is the home to many geothermal spas that have been calling out thousands of tourists annually. Take the entire course of body treatment and relaxing to enjoy the absolutely cozy and comforting experience with natural therapy. 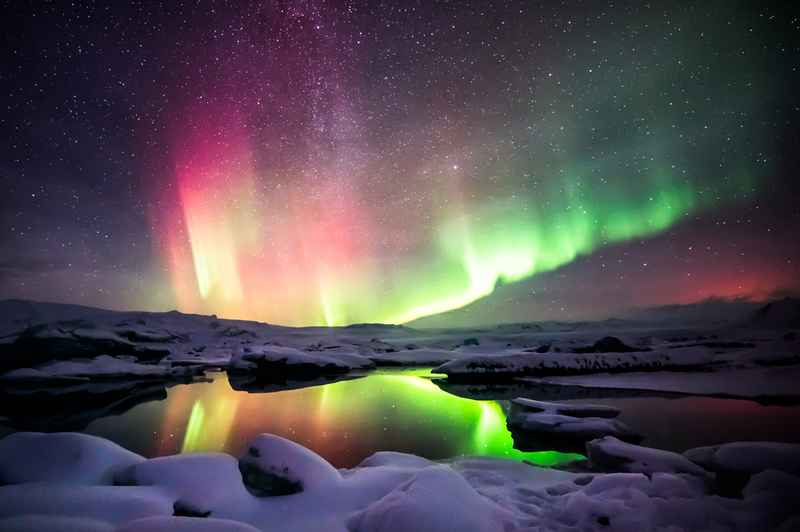 Every year, a big number of tourists takes flights to Reykjavik in order to experience the most gorgeous, surreal and exclusive sight of aurora borealis in Reykjavik as the city has been one of the finest places to access to the plains where northern lights brightens the skies with their green dancing light waves. Although, the lights are visible from the city of Reykjavik as well, but if you insist on having the most clear and delighting experience of Northern Lights, you shall opt for a tour that is available from various vendors in the city that will take you to a camping trip away from the city where the fewer disturbance of earthly lights makes the view of Aurora Borealis quite magical and enjoyable, plus, you get the chance to have a camping trip with leisure and natural freshness. Incepted more than five decades ago, the charming church of Hallgrímur is one of the most prestigious pieces of architecture standing in the country of Iceland. 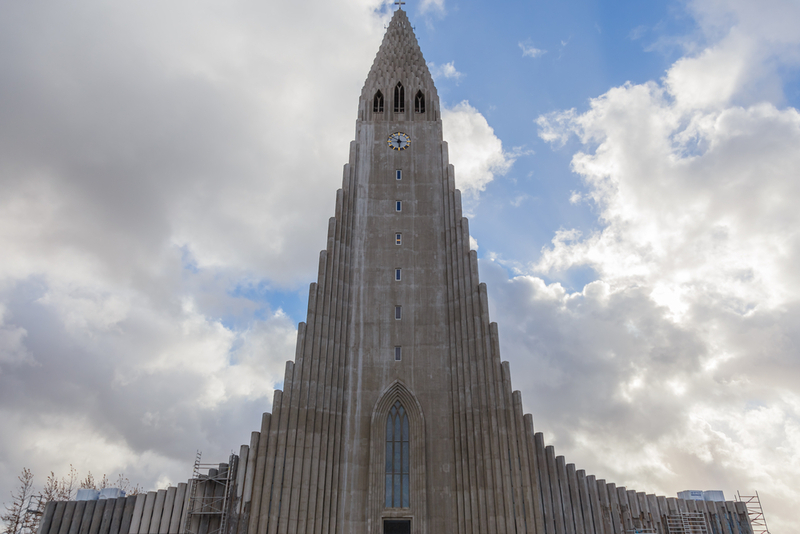 Visited by thousands of voyagers on their holidays in Reykjavik, Hallgrímur is the tallest church of the city and has a huge fan following where tourists often visit here and witness this sky-piercing structure with a unique piece of architectural design and take selfies in front of it. With a shape of a rocket ship, Hallgrímur Church has this superb combination of color, exterior, interior and perfect location that makes it one of the most prominent attractions of the city. All you need is to pay a nominal fees to enter and you are good to go and explore the extraordinary sights of Hallgrímur. 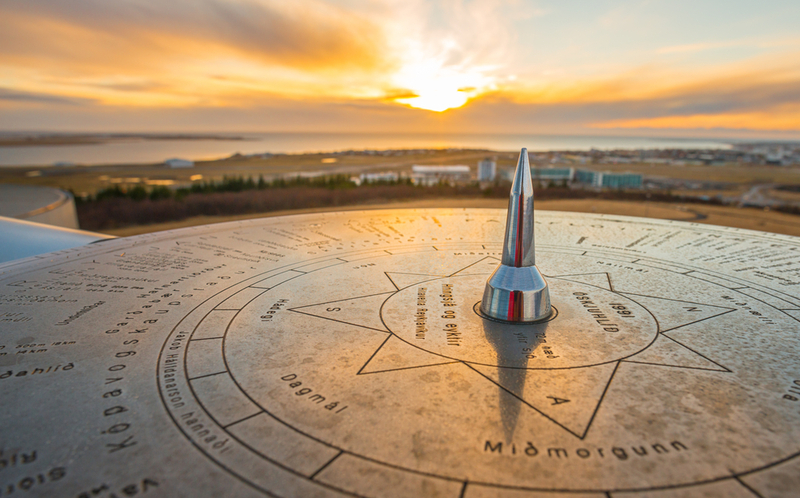 Despite being a city that remain isolated during a big part of the year, Reykjavik is boasted with an array of superlative attractions and even have a multi-specialty complex that lush with cafes, garden stretches, museums, restaurants and more. With a close proximity from the Reykjavik Airport, people can visit as the first thing after getting off from the flights to Reykjavik and enjoy the bewitching exterior as well as superlative interior of the Perlan to get delighted by the typical Icelandic food and a fine range of sights that are really refreshing to ooze out the stress of long transatlantic flights. Furthermore, the views of the surrounding from the rooftop restaurants of the Perlan are simply spellbinding and will give you the glimpse of upcoming adventure in the Reykjavik. 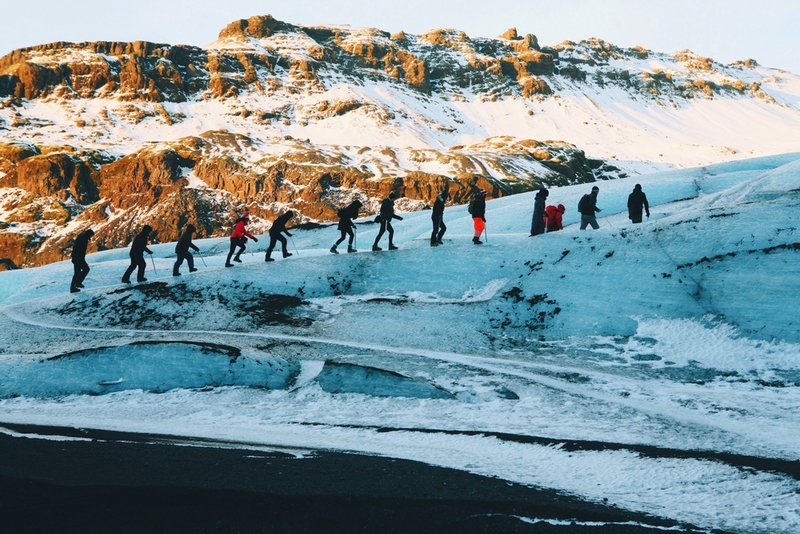 People who enjoy adventure more than anything and seeking some sort of thrill in Reykjavik can now go for glacier trekking which is among the most thrilling and exciting activities available in Iceland that require fewer experience and a moderate guidance by the tour provider. There are several tour providers available in the Icelandic capital that will offer you the scenic tours to explore the glaciers a few hours of drive away from the capital city and give you the superlative excitement of walking on densely frozen lakes and glaciers to stroll around the natural landscapes and witness the shining beauty of the snow, cold and natural landscapes. Reykjavik have been becoming a tourist beacon these days with its wonderful attributes and fabulous cultural events that is giving the capital of Iceland a non-stop exposure of global voyagers. So, if you feel like escaping this immobilizing summer season with chilling weather conditions and sunny days that can last up to 20 hours in a day, then you should probably consider taking flights to Reykjavik from Travelation to ensure a fabulous getaway experience with loads of unusual experiences and delights that are rare to be found anywhere else on the planet.